Recently, the COA held a review meeting in Hyderabad where the skipper requested some demands related to the Wives and Girlfriends (WAGs), reserved rail coach and about the addition of a fruit in their diet. 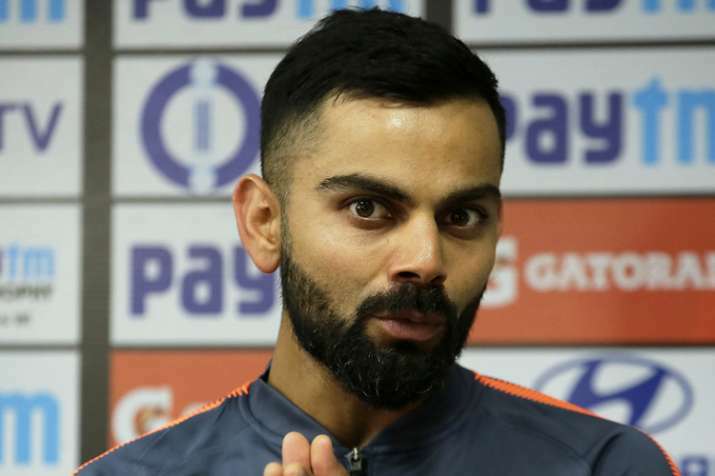 Indian skipper Virat Kohli has put forward some special demands in front of the Committee of Administrators (CoA) for the 2019 ICC World Cup in England, according to media reports. Recently, the COA held a review meeting in Hyderabad where the skipper requested some demands related to the Wives and Girlfriends (WAGs), reserved rail coach and about the addition of a fruit in their diet. In the meeting, Kohli demanded special reserved railway coach for the team to travel in England, a special demand regarding the WAGs allowance on the entire World Cup has also been made by the captain on behalf of his players. Some reports also suggest that the 29-year old has requested for some special fruits to be added to the players' diet in England. During India's recent tour to England, the Indian team wasn't provided with the specific fruits it had asked for, especially bananas, which the players usually eat during drinks break to restore the glucose level in the body. However, the COA has their own take on Kohli's special demands. On the topic of reserved rail coach, the COA will consider this demand only if the security requirements are met. Regarding the WAGs, the Vinod Rai-led panel has a logical take on it as they reportedly conveyed that if all the players in the World Cup team are in favour of it then they will allow it. But if anybody goes against it or doesn't want it then the request will be turned down by them. While the demand for special fruits could be looked upon by the COA members subject to availability. In the meeting, Kohli told the members that in the last tour, bananas were not provided to the team. In the long England tour, the Men in Blue started their campaign with 2-1 win in the three-match T20I series, while they lost the ODIs by 2-1 and Test series by 4-1. The World Cup will be hosted by England next year and India's recent track record on the English soil is not up to the mark. The World Cup is scheduled to start from May 30 and will end on July 14. For the first time, the biggest cricket tournament will feature only 10 teams where India will play their first match against South Africa at The Rose Bowl, Southampton.